Of all the cities in America to explore, San Francisco is the one that leaves you craving more. It's a hub of creative energy, embellished with lush green gardens and long-vined trees, protected by a perpetual cool, fog. Its cultural mesh is tasted in its world-renowned dishes, fine wine from its nearby valleys, and its art. Everyone wants a taste, and the city continues to lure a surge of hopeful bohemian innovators seeking the country’s most expensive escape from global warming and conservative ties. The hypnotic city is also a short launching pad for nearby excursions, like Best Bay Area Tours' Muir Woods & Wine Country Tour. It’s easy to refresh yourself from its daytime crowds by escaping into the warm Sonoma Valley, and the quiet Redwood Forest, just a short drive over the hillside through winding blue gum eucalyptus trees, before retreating back to San Francisco’s sparkling coastline in the evening. It’s another chilled, foggy San Francisco morning as the Best Bay Area Tours Black Mercedes van skirts up and down the city’s urban hillsides carrying about a dozen passengers (including a Singapore family with two kids – rare on wine tour), past homes and headquarters to some of the richest people on the planet – the founders and CEOs of Oracle, Facebook, Uber, Twitter and Airbnb, to name a few. Our driver Paul, is an unapologetically witty Scotsman, who has lived in the Bay Area for 27 years, and spins cultural anecdotes the entire round-trip ride, as he steers effortlessly through the traffic, undeterred by his occasional veering roadside contestants – almost always a millennial, he informs us, or an Uber driver (who is usually a millennial too). Paul believes that in 100 years or so when our empire collapses, the U.S. will be known for marketing. We pass a cluster of downtown one-bedroom apartments. For Rent: $3,600/month, a sign reads, and I realize that we’re in the hub of the marketing empire at its peak. Paul narrates every turn of the city’s changing scenery. One block, we’re in Chinatown, full of generations of native-language Chinese shuffling the streets and clambering around fruit stands. The next block, we’re passing rows of bright Victorian houses back-dropped by the city’s skyscrapers. After merging through Little Italy’s pizza parlors and gelato shops, the van zooms outside the city towards the suburbs. A young woman in black spandex leggings jogs down its sidewalk, and our driver Paul points out that this is the crowd he refers to as the “dinks.” Double-income-no-kids. Our van erupts in laughter. The van then glides towards Crissy Field, onto of the Golden Gate Bridge’s 100,000 kilometers of steel, “the suicide capital of the world,” as Paul states, and then adds imagery of people plunging 220 feet into the icy bay, splintering their bottom three vertebras first for an instant death. “It’s like hitting concrete,” he says. I shudder as Paul continues his narration. “Location, location, location,” Paul pipes up, pointing to million-dollar houseboats along the San Francisco Bay. We pass Point Bonita Lighthouse and the infamous Alcatraz, when all of a sudden a millennial in a black BMW, clutching a cellphone in one hand and steering with the other hand, swerves in front of our van. “We’re here kids!” Paul exclaims and cranks open the van’s doors. We’re now rolling onto El Camino Real, past San Pablo Bay when a red Corvette swerves in front of us. Please don’t be another millennial, I think, and our group roars with laughter as Paul confirms its under-35 identity. “You gotta love them!” Paul laughs. “Wonderful crowd, such characters,” he says, saluting the young driver who zigzags into the HOV lane. We’re in wine country now. Houses are sparse and freshly watered green fields blanket the rolling hillsides. This wine country was the Spaniards’ idea. They brought back over 300,000 different grapes and clippings from the north that they planted here. After WWII, the wine industry boomed. Paul has spent 40 years in the wine industry and I learn from him that the region’s intricate harvesting here mid-August to late October-November results in 720 grapes inside of a single bottle of wine. The wine industry is a meticulously refined work of art but the payoff is huge – at least for winemakers in this area. 21 companies produce 97 percent of all the wine and the hotbed of winemaking is here – in the valleys of Napa and Sonoma. Our group is immediately guided to a tent and presented with a tasting menu. Our tasting guide says we’ll try lighter whites to heavier whites, then lighter reds to heavier reds. Then we’re briefly refreshed on the basics of wine tasting: We aerate the wine (swirling it around in our glasses), allowing oxygen to infiltrate the wine and release vapors, then carefully smell the wine’s aromas before sipping. I remember the Cashmere dark berry and chocolate blend from a restaurant in my hometown of Fort Collins, Colorado and I loved it so much I bought a bottle afterwards. “I call it my party wine,” the tasting lady says. For those of you who haven’t been to a full-day wine tasting tour like Best Bay Area Tours, you might wonder if the tastings have any effect on the body since so little wine is served at a time. The truth is, you’re getting premium wine from its source, and that, blended with about five to six small pours per tasting from three tastings throughout the day, comes out to about five or six glasses of wine at the end of the day – if not more, as there’s usually an extra impromptu wine thrown in. So yes, you do feel that warm wine buzz, usually after the first tasting. At every wine tasting, you’ll also find spitting jars next to each party for the more conservative tactic (thoughtfully swirling the wine in the glass, then the mouth then – in the jar). I personally don’t’ see the point in going into a Best Bay Areas Tours wine tasting with this super-serious approach. Your only requirement that day is to lay back in the van as it carts you around to peruse the properties and sights along the way after you swig around some wine, so why throw out even a drop? And there’s no such thing as bad-tasting wine at these places – just favorite-tasting wines. The whole day is a brainless activity for the passenger, and at the end of the day, they’re dropped off at their hotel doorstep. That’s another thing Best Bay Area Tours does differently from other tour companies. At my last San Francisco last wine tour experience, we were racing down to Fisherman’s Wharf at the crack of dawn to wait for our giant shuttle bus, and then, at the end of the tour, we were herded onto the ferry boat back to our starting point. There was no black Mercedes van picking us up on the dot or dropping us off at our exact location. (And there was no Paul to keep us laughing for entire round-trip ride). It’s not long after our first tasting at Cline Family Cellars that our group is escorted back into the van for a lunch break in Sonoma, a small, surprisingly quiet tourist town of boutique shops, tasting rooms, cellars, bakeries and ice cream parlors. Only minutes from downtown Sonoma, we roll into our next wine tasting post-lunch, Homewood Winery, directly across the street from the Jacuzzi winery, our final tasting. Homewood Winery is different. It’s small, and it’s in action. “There’s Dave!” Paul carols out his window, and waves at his friend, an over-six-foot blonde man, who is carrying heavy boxes with his head down. Dave waves back. I’m informed this is the owner of Homewood. Unlike the other owners of Sonoma or Napa wineries, who appear as distant legends we only recognize from sketches in brochures or paintings on walls, Dave, the owner of Homewood, could pass more for a bass player at a summer rock concert in Haight-Ashbury than a Sonoma winery owner. We seat ourselves inside the wine tasting tent and I set my wine glass on top of my tasting menu to keep it anchored from the warm, Sonoma breeze that ripples through the tent. 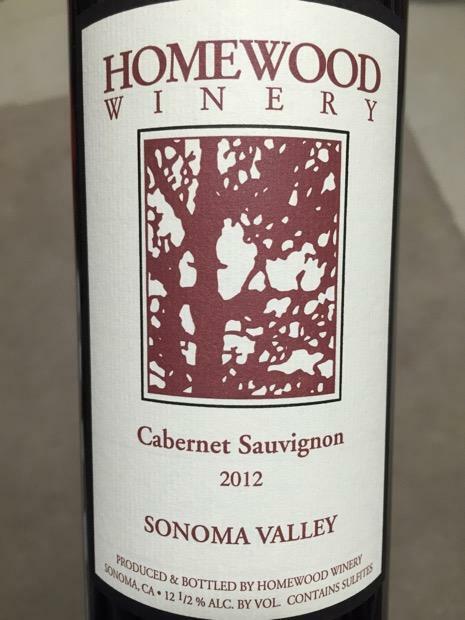 Mostly because I will take a Cabernet Sauvignon over any other type of wine, but Homewood’s was made just right – not too sweet, but rich to perfection. Our wine tasting guide says that unlike Cline, that produces 300,000 cases of wine per year, Homewood produces 3,000. It’s made the old-style European way to keep the tannins down. After tasting two white wines and four reds, our group has questions. Flying Wizzbangers? This is where Dave pops in the tent. “Hey guys!” he waves to our group, bowing his head as he lingers at the edge of the tent. Flying Wizzbangers was his intermural basketball team from his hometown in Illinois, he says. As he talks, I notice how humble and attentive he is. How nice it is to meet the owner of the winery! I thought. You can really read them up close, and with Dave, I could see how passionate he was about wine-making and excited that people were there to taste his wines. When someone really loves what they’re doing it comes out in their voice and body language and Dave is one of these passionate people. 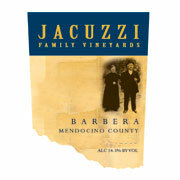 By the time we reach our final winery of the day at Jacuzzi Family Vineyards, the wine buzz is going strong. The van is alive with laughter and chatter. The Singapore father traveling with his wife and two children is reclined in the backseat sleeping. His children point at him in laughter and poke him. If not for his quiet gargled snores, from a distance, he looks like an actor shot dead in a 1920s gangster flick – straight from the window - knees collapsed to the sides, head back, mouth open. “I had too much already!” a lady in the front of the van exclaims, waving her hands away from her face in casual protest. Jacuzzi Family Vineyards is an 18,000-square foot five-building stone mansion on a 190-acre property that screams, “We’re the real deal from Italy.” I don’t know if it’s just because of the time of day, but Jacuzzi Family Vineyards is teeming with visitors. Before heading to our tasting, we stroll the grounds and cruise through its wine and olive oil shops, and relax in its fancy cobblestone courtyard, backlit by a water fountain and embellished with tropical flowers and sculptures. When I approach our tasting center, our an antsy tasting guide stands in front of arched garden windows and five full bottles of wine displayed on a table, doing a light side-to-side jig, as he tries to form a headcount. “I was told there was 13 of you,” he says, pulsing his pointer finger in the air around our group. In front of him, the woman from our group who continuously declares she’s over her limit is reclining casually in a patio chair, her eyes closed towards the sun, and the Singapore family is nowhere to be seen, apparently tracking through a distant vineyard. Some of the other group members appear to be aimlessly wandering as well. Our group for the tasting is now whittled down to about three-fourths, which just means more wine for the rest of us. Summer of Love and then became a professor at Berkley, informs us he just had four cups of coffee and wastes no time as he breaks into his spiel on Jacuzzi Family Vineyards. Jacuzzi was home to a family of seven brothers, well-established entrepreneurs and businessmen who originated from Italy. The family first invented propellers for windmills around WWII, irrigation pumps, then made airplanes, but a plane crash killed one of their sons so they moved on to inventing the Jacuzzi. (It really started off as water hydrotherapy for their child with medical needs.) During the depression, the father and his older children began planting in vineyards and made wine. Our blank faces must have said, “Any wine?” and so he began pouring. My favorite: The 2014 Barbera. With its bright, crisp notes of cherry and raspberry and 15% alcohol it's a double win. Extra wine glasses are offered to our chiseled-down tasting party, and we open our arms with gratitude. Our tasting guide asks us where we’re all from. “Colorado,” I reply, bracing for the response. When you’re traveling from Colorado, no matter who you are, or what your accomplishments, you’re stamped with a big marijuana leaf on the head. This ends up in a fast-forward tale of our tasting guide’s days in Vietnam when he witnessed the entire American crew filling pillowcases full of marijuana for $5. “No wonder we lost the war,” he laughs. Being from Colorado is like being a baby – you are warmly welcomed everywhere just for being alive. Paul moved onto the next seat in front of us. Of course, he knew something about each person’s state, or country and could carry on a well-versed conversation with everyone like an old local at the pub. “What do you do…in Arkansas?” Paul asks lightheartedly. Unlike Colorado, when you come from Arkansas, you’re immediately on the defense. “Quite honestly,” says a man with a sweaty brow and checkered collared shirt in front of us, “We live in a well-to-do area….so my pediatric practice is thriving,” he stammered, then peered out the window as our van came to a stop in traffic. Our entire drive to wine country and back Paul barely paused between his narrative transitions. “What does this guy do, read encyclopedias in his spare time?” I wondered. We were now for the first time at a point in our drive where there was nothing to see, besides traffic in front of us and a clump of dirt on the right. “He’s got nothing,” I thought. Paul breaks the five seconds of silence. As we maneuver out of traffic through the suburbs towards a fog-draped Golden Gate Bridge, Paul head spins around at a woman huffing along the roadside trail. “Look kids! There’s a spandex runner earning $100,000-$200,000 per year. Running on that asphalt. Doctors tell you not good." He then cranks his wheel out of the traffic. Our van parks. “Okay, kids, we’re here!” Paul shouts gleefully, cranking open the doors and bouncing down the steps. We step out into the cool, San Francisco breeze. Directly in front of us, the bright orange Golden Gate Bridge is misted in fog. “You won’t find this kind of setting on any other tour,” I hear a passenger say. I know what they’re talking about. On my last wine country tour from San Francisco with a different tour company, we stopped at the official tourist viewing location overlooking the Golden Gate Bridge. But the viewing location is set up so you’re facing one end of the bridge for a kind of vertical, close-up view of the edge. Here, we had a full panoramic view across the water of the massive steel monument that symbolized San Francisco. Our giddy group jumps out of the van to find Paul already hunched over a leaf. “Do you know what kind of plant this is?” he asks us, gently combing the leaf in one hand, and beckoning to us with his other hand. “A Redwood?” chuckles a man from our group, then saunters off towards a view of the bridge, leaving Paul in deep explanation of the small coiled leaf to part of our distracted, laughing group. The chilling salty wind sweeping into the peninsula is blowing hard, so we all throw on our original layers and pull back our hair to get a good glimpse of the bridge. Paul acts as our photographer, bopping from one party to the next to take photos. When his hands grip my professional camera, no explanation is needed. He strategically squats, pivots, and leans in, firing off sharply focused shots, with seamless composition. Probably another one of his 90 skilled trades, I think to myself. We’re now on the last stretch, voyaging up and down hills through San Francisco’s city to drop off passengers. The Singapore dad is nudged to wake up as Paul talks about his last trip to Singapore and the one thing we all have in common – a good drink. The Singapore woman in the back muffles a giggle. “Oh yes, you should try it. You like it?” she asks. “Eh, not my thing,” Paul says casually, as the van crawls to a stop at the Singapore family’s hotel. As the family thumps down the van’s steps, the mother giggles on her way out, “It’s kind of a lady’s drink, tee-hee!” The rest of the Singapore family chirps in unison laughter. The doors swing shut and we’re approaching the corner Chinatown, so I know our stop’s next. “Oh, there’s an Uber driver, parked in the worst spot, giving me the evil eye,” Paul laughs. Minutes later, the van halts at the front door of our hotel. We shake hands with Paul, hand him a tip and then breeze out the door, clutching a couple bottles of Sonoma wines we purchased at the wineries. The doors close. It wasn’t until a month later when I was cleaning out our closet that a small canvas Cline Family Cellars bag fell from the top shelf onto my head. In that moment, the memories of the Best Bay Area Tours’ wine trip opened up, and I felt that desire again, almost like a homesickness, to be among those vineyards, in that warm Sonoma sun, to be treading through the quiet Muir Woods, and gliding along the San Francisco coastline. It’s funny when you’re in the moment on these excursions, you’re just a tasting, talking, walking passenger who’s soaking in every sensation until the doors shut and it’s over. But your senses don’t shut down once the experience is over. The reminders seem to fall out of nowhere: a gentle knock on the head, a conversation, a picture; and you relive that experience over and over. 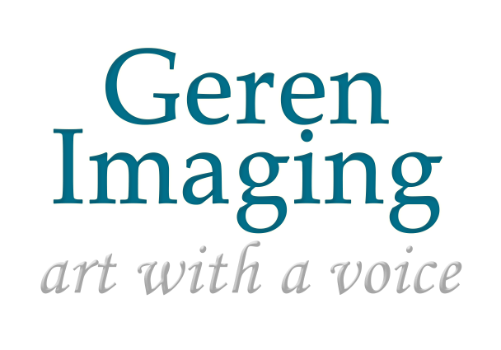 You created a well written article and beautiful, artful photos. I went to muir woods and did wine tasting last year in San Fransisco. It was a fun adventure, but I learned some things from your article and your photos were so much better than mine!! Vanessa O'Donnell - Definitely want to do this tour now. And the Redwoods look beautiful! I've always wanted to go. Lindsay Robertson - These photos are beautiful!!! Would love to see this for myself. Thanks for the travel inspiration! Jay - What an awesome tour! I like all the insight and descriptive stories. I'm hoping Paul will be my informative tour guide when I take this tour! !